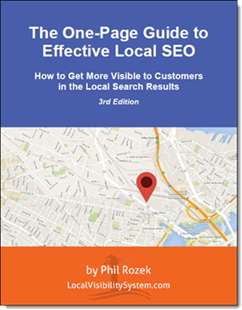 Most local SEOs don’t help clients on reviews, much or at all. They can’t outsource it, it doesn’t look like a lot of billable hours on paper, it takes tough love, and they’re not even sure what they’re supposed to do. That’s a shame. Few things can prove your worth as much as helping clients get dialed-in on reviews. Having good rankings without good reviews is good only for one’s competitors. 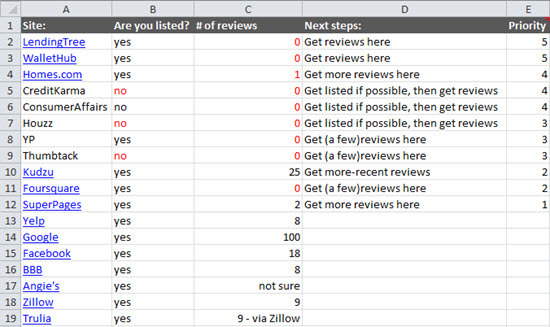 Besides setting up the review tool du jour (usually a waste of time) and maybe creating some printouts (usually a good move), what can local SEOs do for clients on reviews? 1. Help troubleshoot their current review strategy. You will find problems – and ways to improve. 2. Do a “review audit.” I like to do a quick “just the facts, ma’am” -type audit, with an emphasis on niche review sites. But if you’ve got your client’s ear for broader business advice, you might also do this very different type of review audit, which Miriam Ellis suggests. 3. Do a bulk “Find Friends” lookup on Yelp – as a way of identifying which customers are active on Yelp and there most likely to write a review there. Also, explain to your clients that they can easily look up new customers / clients / patients one at a time, as they come in, if that’s easier. 4. Find the waste. Does your client have 200 DemandForce “reviews” but none on Google? Does your client ask everyone for a Facebook “like,” but not even a Facebook review? Has your client sent 50 people into Yelp’s meat grinder, only to have their words and goodwill extruded out as 50 filtered reviews? 5. 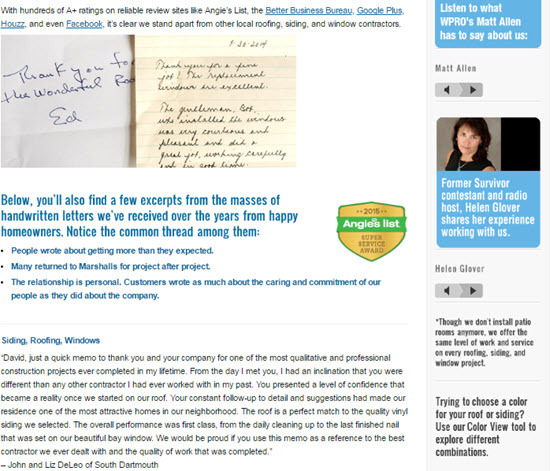 Critique and improve your client’s outreach emails. There should be two requests: one in-person, and a friendly email follow-up a few days later. A personalized, friendly, brief, not-pushy email that offers customers a couple choices of review sites is an easy way to pick up stragglers who otherwise would’ve forgotten to put in a good word online. Write a version that you think will do better than what your client currently sends, and test it out. 7. Showcase your client’s reviews on the site. That’s not a problem with Yelp or with Google; they won’t get filtered. But you still want them on the site, because [BLEEP] happens, and because you can’t assume that would-be customers saw all the good reviews in the search results before visiting the site. Also, it’s relevant on-page content that you don’t have to write. 8. Build a “Reviews” page. 9. ALSO build a separate “Review Us” page. That’s different from the “Reviews” page, which you’d build mainly to impress would-be customers (and maybe even to rank for some “reviews” local search terms). Only current and past customers see the “Review Us” page. You’re no longer trying to impress them; now you’re encouraging them to write the kind of review that probably was why they chose your client in the first place. 10. Discuss review strategy – continually. You won’t get dialed-in after one phone call, or even after a couple of months. You need to help your clients diversify. You need to keep them from bribing customers or making it too easy, so that the reviews your clients get are impressive and not bare-minimum or fishy. You may need to replicate your success in other locations of your client’s business. If you just don’t forget about all the ways you can help, you’ll become indispensable. How do you help clients earn more and better reviews? Great tips Phil! I especially love the Yelp bulk ‘Find Friends’ and the supporting article about how to do it. Yelp is so tricky with filtering legitimate reviews. What suggestions do you have for small businesses that are getting great Yelp reviews, but are being filtered due to a ‘young’ Yelp account? The main thing is to contact only active Yelpers, by which I mean they’ve written at least 5-10 reviews. Yelpers only start to become “trusted” after about 10 reviews, but the chance of having the review stick improve greatly after about 5. Sometimes few (or no) customers meet that criterion, but sometimes you’ll hit the jackpot and find 50-100 people in a list of several thousand Yelp “friends.” Totally depends. Some solid advice here Phil. I will say that we have been using Grade.Us white label and I would not consider it a total waste of time. You can use them to showcase your reviews from the sources that matter on your site. They even break the main review sites for each vertical out for you, as well as allow you to add custom sites. It helps with creating the “review us” page that you suggest and will even publish new reviews to Facebook. Allows you to manage outreach emails to clients, and will even follow up for you. It really can be your “one stop shop” for helping you manage the whole process. However, I do agree most tools are a waste of time. Just really found some value in the Grade.Us platform. 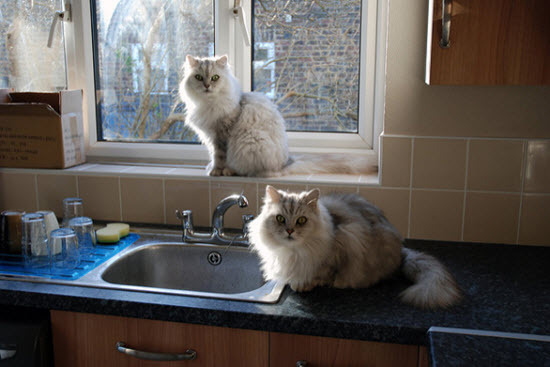 By the way I am not an affiliate of any kind for them. Just a loyal and happy client. Grade.us is great. I’ve seen value in it since it launched. Glad you liked it, Timothy. Like these tips very much, Phil! My favorite thing in this is actually the photo of the handwritten notes. There’s a measure of reality to it that could promote trust. Nice article! Thanks, Miriam! That “Reviews” page is one of my favorites, because it hits many different angles. These may be some of the “different angles” Phil is referring to. Thanks to you both for sharing SOLID Local SEO Knowledge over the years!! Two things I have found particularly useful: 1. Timing. When you ask might even be more important than how you ask. 2. Service experiences. No doubt that improvements to review processes are key. However, take a look at the actual service your clients are providing. Is it positive review-worthy? And don’t limit service thinking solely to customers. Improving service experiences for everyone who interacts with the business tends to have the biggest impact on the number and nature of reviews. Very true, Gyi. I’d say that fits under the “Troubleshooting” to-do (#1). There are so many ways to botch one’s review strategy. Ask for a review up front, before you even get the work. That way people will say yes and expect to give you a review and will also be impressed you are confident enough to ask. Also, use reviews on every page of your website. Most people won’t go to a special reviews page. I’d stop short of recommending those things in all cases, but I agree they’re generally good SOP. One thing I’ve started doing and recommending to my readers is to match up reviews with existing educational content on my website. For example, if I get a glowing, detailed review from a patient who had a specific and common surgery (carpal tunnel release), I’ll put that review on my patient education page for carpal tunnel syndrome. You can play with placement here – middle of the article or at the end. That’s an excellent practice, Noel, and it’s one I also recommend. My client does have 200 Demandforce reviews and 0 Google Reviews! While they showcase those on their website, is there anyway to leverage those reviews otherwise? I have not worked with Demandforce… can those reviews there be pushed out to social media or used in any different way? We also are using Grade.Us and find it very helpful in securing reviews where it counts – where potential customers are going to find them and get feedback to drive them to the website. No, unfortunately. Those DF reviews are kind of useless. They do get fed to CitySearch (and other CityGrid properties) and sometimes Bing, but other than that they’ve got no legs. What I would do, though, is have your client reach out to the people who left the DF reviews (the more-recent ones, at least) and ask them to review your client elsewhere. This is a really interesting approach, Phil! The speech pathology group Ridge Zeller Therapy that I work with has been trying to more reviews going from current and past clients. Though there aren’t too many reviews out there on Yelp and Google+, they have a few good ones. Creating a page on the RZT site would be an awesome way to rank for certain keywords and also could hopefully encourage more reviews by hosting the review links out to the right sites. It’s not an easy task, but a worthwhile one indeed.